It’s always tempting to use an easy to remember password when registering on a WordPress website. However, security is essential and picking a strong password is key to prevent your website from being hacked. Your website is more at risk than your house or business. It is better to choose a strong password and write it down on a piece of paper, than choose a weak, easy to remember password. You can choose a display name when editing your profile. This is the name that will be seen on your website if you display the blog post author. Your display name should never match your username as again, this is one of the first usernames that the hacker will test. Your password should include letters, numbers and special characters such as !”£$%^&*()_+-=;’,.<>?. Longer passwords are harder to hack than shorter ones. Aim for a password of at least 12 characters in length. 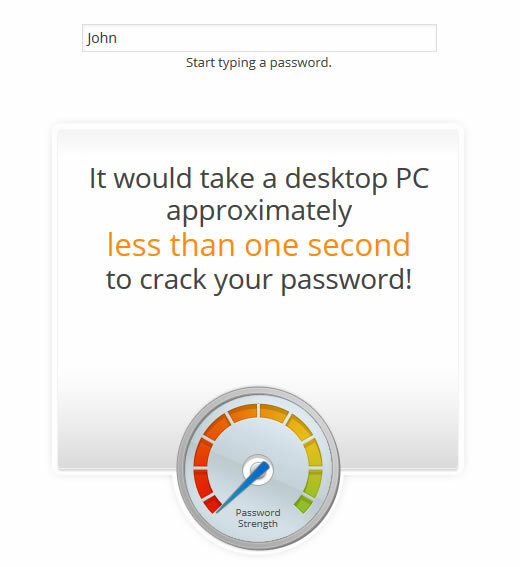 In this example I am going to use the All in One WordPress Security plugin to test the security of 3 passwords. 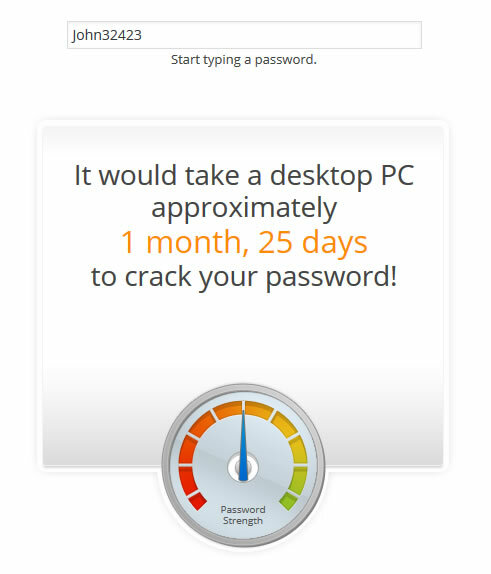 This plugin tells me how long it would take a hacker to crack each password. Ok, that’s a pretty bad password. What if we lengthen it to Johnathan ? That’s a little better but still easy to crack. A hacker will just let their script run away in the background for as long as it takes. Lets exchange some letters for numbers without changing the length of the password. Much better but we can make it even harder to crack by adding other characters also. Looks good now but hackers are always finding faster ways of working so we can’t relax just yet. Finally I am going to lengthen the password to 12 characters. Right, I think we can relax now safe in the knowledge that our password is much safer. Remember that website security is often overlooked so ensure that your web developer has secured your website and ensure that you use a strong password.